The Muse has been until recently the work studio for Bere Architects, and remains home to its founder, Justin Bere. 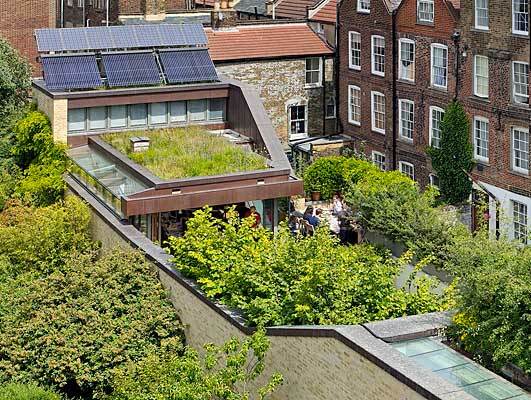 While Bere, the architect, and Bere the practice have become known as leading advocates of the Passivhaus approach to zero energy design, the building they work from has also been featured as one of the most attractive and photogenic roof garden projects in London, earning features in the National Geographic. Bere, (in the architectural mode) has created a fantastic roof garden within a very tight urban space round the back of Islington Square. 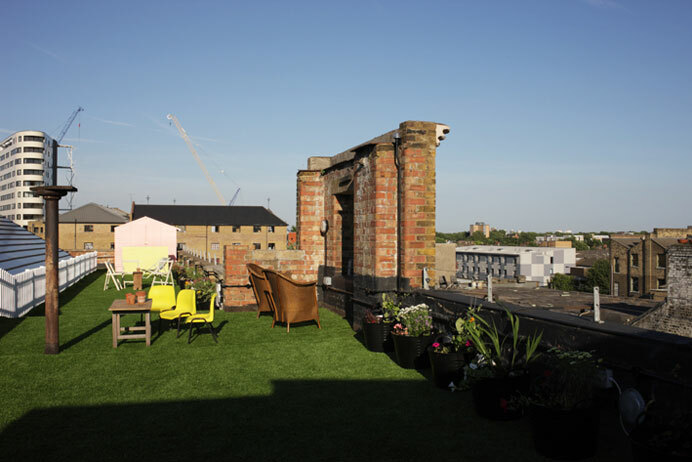 One of north London’s more recent hipsters quarters, Dalston, mixes a fair share of bubbling creative activities with serious social challenges. 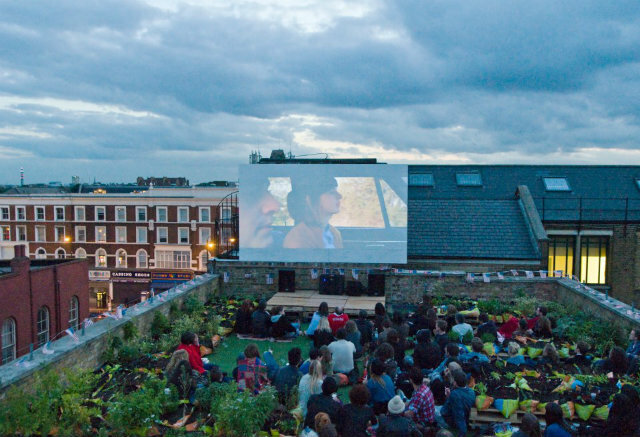 Dalston Roof Park has been set up for three years in Ashton Street, (possibly twinned with Lewes’s former Socialist Republic of Leicester Road) as a social enterprise atop a mixed-use workspace building to be used for all sorts of social and community activities, from open-air movies in bed (I kid you not!) community bake offs, local company’s product launches, and music and party type activities.